Horses inspire us by their strength, their sweet temper and their motivation. If you want to get closer to these fascinating creatures, you've found the right book with this new handbook in the Kosmos Advice series: Extensive, authoritative and hands-on, it offers information on horse's needs, their behavior and human's correct contact with the horse. That's how the first "live" contact will be guaranteed free of stress and danger! 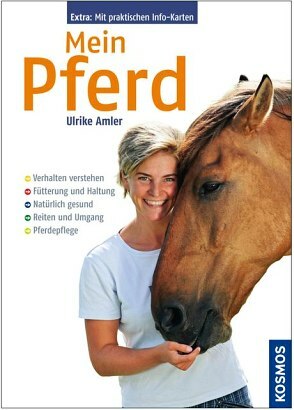 Ulrike Amler keeps her four horses herself and knows all issues regarding horses very well. The graduate agricultural engineer also writes contributions for various trade journals and fora on the internet.